Turn DCX to PDF page layout files online in a few seconds! 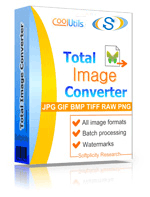 Try a DCX to PDF Online Converter now or buy the batch Tool for more! Description DCX is a multipage form of PCX format, a raster graphic type. It fully replicates the characteristics of PCX, supports up to 24-bit color depth. DCX utilizes lossless compression that provides excellent file size decreasing for the images with lots of sole-colored areas. It is a hardware-specific image format meant for storing graphic information in the same form, as in video card. DCX is rarely used, but is supported by numerous editors like Corel Draw, Photoshop, GIMP, etc.